First a blog by a puppy Ahava would love to meet. The human Buppy the Puppy owns was a classmate of mine in highschool. PetSmart, a national pet-product retailer with 38 stores in Palm Beach and Broward counties, has voluntarily pulled two brands of jerky-style pet treats made in China while federal investigators continue to explore if such products are making dogs sick. 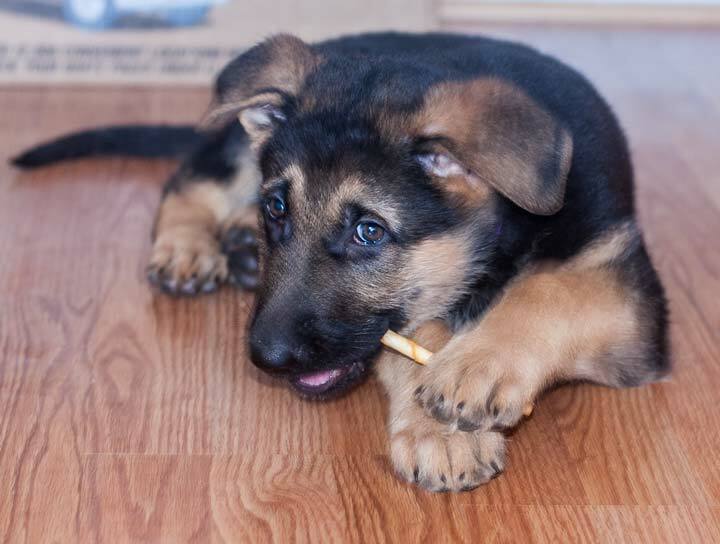 PetSmart spokeswoman Jennifer Ericsson said all flavors of Pet ‘n Shape and Smokehouse Pet Products jerky-type treats — including poppers, tenders and chips — have been taken off the shelves and stored “as a precautionary measure” while the company conducts its own tests. The company’s decision followed a warning about such products issued last Thursday by the American Veterinary Medical Association, the nation’s leading professional group for vets. The Food and Drug Administration also confirmed last week that it was investigating jerky treats for contaminants. China has cornered the global market for vitamins, and it is assuring a jittery world market that its tablets are safe. SHIJIAZHUANG, China — If you pop a vitamin C tablet in your mouth, it’s a good bet it came from China. “You may be surprised to know that China is actually one of the largest exporters of many drugs and vitamins. About 90 percent of all Vitamin C sold in the United States is from China, for example. They also produce 50 percent of the world’s aspirin and 35 percent of all Tylenol. Ditto for the majority of Vitamins A, B12 and E.
“Hot on the heels of the poisoned pet food scandal, and reported instances of toxic food and toothpaste, all eyes are now turning toward the Chinese vitamin market. How safe are they? I love large dogs. Luna, my nine-year-old German Shepherd mix died recently. 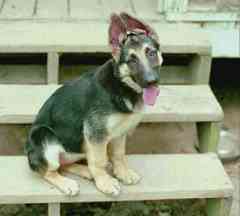 Now I just have a seven-year-old German Shepherd, Ahava, who has been with me since she was seven weeks old. I’ve always given my dogs beautiful and meaningful names, for example, Tung Jen (Chinese:fellowship with man), Zhian Alpha (Persian:courage of a lion), Koh-i-Nur (Pakistani:points of light), Ahava (Hebrew:loved), Akimi (derived from Japanese:rosy as the dawn), Diamonds, Dreams and Jewel (the latter four were Siberian Huskies). 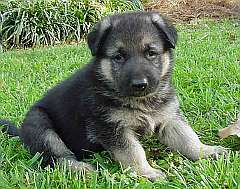 I’m currently looking for a big healthy German Shepherd puppy as a companion to Ahava. He’ll be named Ghibor (Ghee-BOAR) (Hebrew:hero/strength/courage). Dogs love me and always follow me. 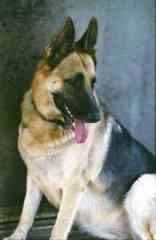 My dog’s full AKC registered name is Ahava Shamira. When I arrived at the airport in Tel Aviv this past Feb. one of the first things I saw was a giant billboard with a close-up of a woman’s face and a single word: Ahava. There’s even a website with that name. It’s a line of expensive cosmetics derived from Dead Sea minerals. Ahava learned when she was a little puppy to block out and totally ignore sounds from the TV and stereo. She doesn’t even react to dog toys with sound effects because she understands that they’re not real. I hardly ever use spoken commands such as Sit or Stay because she somehow senses my thoughts. When Ahava wants something such as going outside she just looks at me with the expectation that I’ll know what she wants and I always do. This is the same little furball who slept contentedly on my lap when she was less than 12 weeks old. Dogs are exceptionally good at reading body language and energy fields. They perceive the tiniest movements that we aren’t even aware of making ourselves. It’s been proven that dogs can actually sniff out cancer long before it’s discovered due to medical symptoms. Ahava instinctively knows when to manifest her inner aggressive Wolf. She’s friendly to delivery people for example but doesn’t approach them. She remains a few feet away and just observes them. 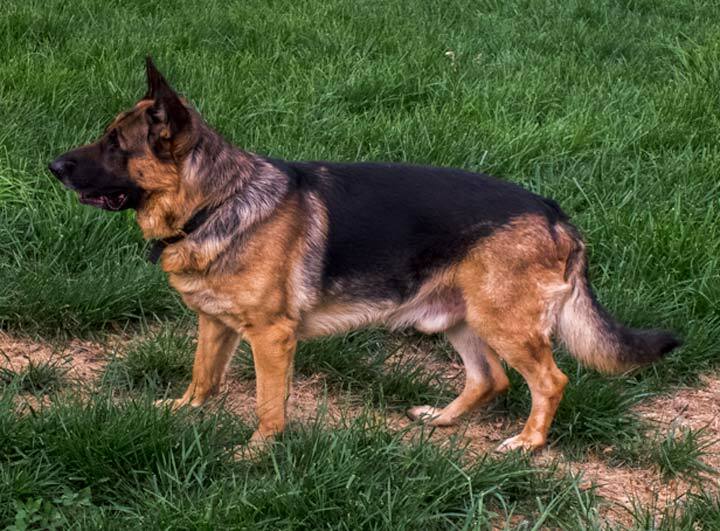 When my possibly meth-addicted redneck neighbor walks down the country road I live on Ahava snarls at her even though she’s more than 110′ away. She can even tell when someone isn’t quite “right” over the phone such as telemarketers. That’s probably because she sniffs my reactions to them. 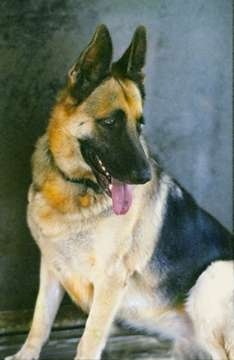 German Shepherds don’t have to be trained to be protective because they’ve been bred for it. Only abusing them will cause them to become antisocial due to fear. I feed my dogs healthy holistic food and not the popular brands which have been so tainted by recent scandals. A good read about pet food that will wake you up is Ann Martin’s Food Pets Die For. This is the full text of the article in the New York Times Magazine that the author is talking about (not for the squeamish!). Next time you reach for a bag of Purina, Pedigree, Iams or other popular brands think about what really goes into the product and how it’s tested. Remember that the word “natural” on a product has no meaning. Many pet food products include Propylene Glycol (a derivative of antifreeze) which is a natural ingredient. It was banned from cat food by the FDA a few years ago because it tends to kill them. Dog treats and some food products still contain it. 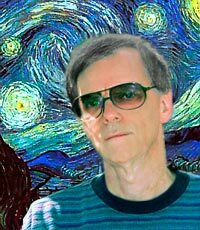 Arsenic is natural; so are cyanide, botulism, hydrocarbons, E-Coli, and HIV/AIDS. It’s a meaningless term. The term holistic on a pet food product means a lot more. Some brands are Newman’s, Blue, Wysong, Innova, and California Natural. Petsmart and Petco carry some of the holistic brands. Read the labels. You should avoid buying bags of food that include the word “byproducts” in their ingredient lists. Food Pets Die For (mentioned above) tells what that term really means. Basically if an ingredient doesn’t sound like something tasty that you might eat it’s not good for your dog either. Ahava loves Smokehouse Chicken Treats which I buy at Petsmart. The ingredient list contains only one word: Chicken — no artificial flavors, colors or preservatives. You can see and feel the texture of chicken that’s been roasted and dried. If I wasn’t 95% vegetarian I’d snack on them myself.